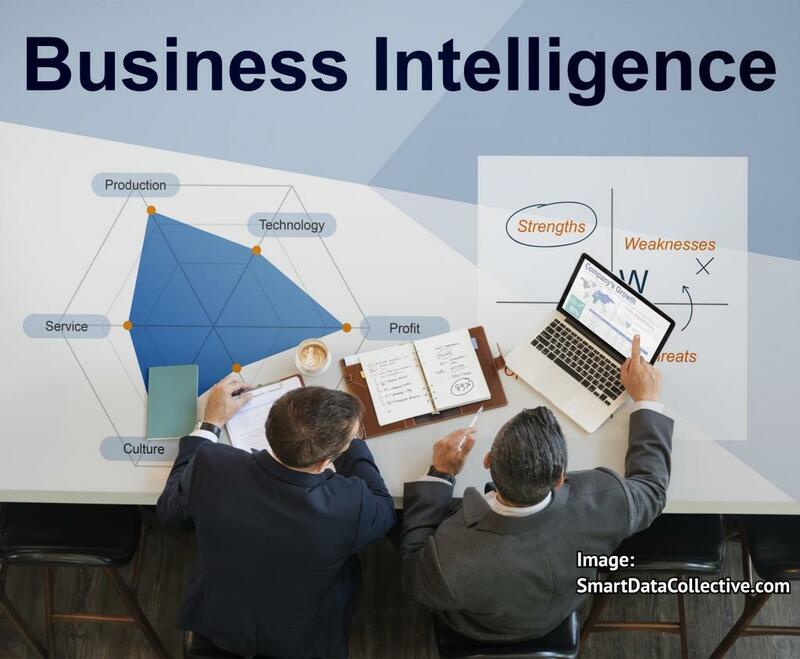 Business intelligence can be defined in terms of techniques and tools for acquiring and transforming raw data into useful information that can provide meaningful benefits to business operations. Business Intelligence (BI) is a term that dates back to the mid-19th century and had basically the same definition. But as a reference to automated processing of structured data it only appeared in the late 1980s and is thus a still relatively young science. Before that, data processing was typically done on large mainframe computers or decision support systems separate from the rest of the company infrastructure. Today, desktop versions or cloud-based SaaS (software as a service) are available. There are also open-source frameworks like Hadoop that allow distributed processing. The key benefits of modern business intelligence tools relate to improvement in the speed and accuracy of the decision making process. Optimization of internal processes can have several goals, including greater efficiency, increasing revenue, and cutting costs. Business intelligence reporting tools can also help companies spot consumer trends, satisfy customers, and find solutions to business problems. These benefits provide a competitive advantage. BI typically relies on historical data in a data warehouse or specialized data mart, such as past sales figures or production output. New data from source systems such as POS terminals is transformed to fit seamlessly into the data warehouse and added in batch operations. Integration of data from different sources supports more accurate and reliable results. BI analysis of past performance helps to identify patterns or forecast future results. Originally, business intelligence analytics tools fell to the skill sets of data analysts and BI specialists. They were trained to create and assess reports using data queries that produced specific data sets based on business demands and requirements. However, more business intelligence reporting tools are now user-friendly so that data discovery can be performed by any manager or employee. This approach is becoming known as “self-service” BI. Business intelligence analytics tools can encompass a range of data techniques to fit different business needs. This can include drill-down enterprise reporting, both ad hoc and programmed queries, OLAP (online analytical processing), and the creation of various data cubes, hierarchies, filters, and perspectives. While tools vary from vendor to vendor, some or all of these elements are usually present or can be purchased as add-ons. In some cases, reporting solutions or managing dashboards is offered as a general tool, while more advanced analytics such as data mining, text mining, document processing, or predictive analytics are reserved for better-trained IT professionals. A company’s data is one of it’s biggest assets. The era of big data, where constant streams of information are produced by sensors or online activity, is creating a greater need for BI tools and training. In small companies, BI tools may be used primarily for reporting purposes, or be entrusted to IT departments. In large companies, a BI team may consist of trained BI professionals, BI developers, data management specialists, and selected executives to communicate business needs and interpret results in practical terms. Some organizations will use business intelligence tools as a basis for internal software development of increasingly sophisticated or specialized analytic projects. Dedicated BI teams can ensure quicker and more flexible data processing as business requirements change and a range of use case scenarios must be studied. “Big data” refers simply to very large volumes of data, not any fixed definition of how that data is used. Some business intelligence vendors and users will refer to either or both under the umbrella term “business analytics”. But this also refers to all the components: data warehouses, enterprise information systems, business intelligence reporting tools, performance, business applications, risk assessment, and now increasingly security, regulatory compliance, and data governance. Of late, business analytics is becoming the preferred term. But it’s important to differentiate BI from analytics in that BI refers to the tools and business value that make analytics important.